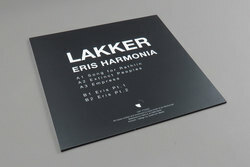 Lakker - Eris Harmonia EP. Vinyl EP. Bleep. Berlin via Dublin experimental, existentialist techno cuts from the Lakker duo on Eotrax. 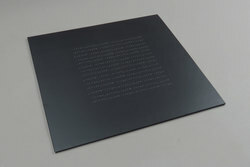 With an Rrose remix on their last 12”, this is a label to keep an eye on if Berghain style techno is your bag. The Lakker boys go from dub influenced downtempo (‘Song for Rathlin’) to the skittered, IDM inspired ‘Empress’. Job well done for these R&S / Blueprint affiliates!